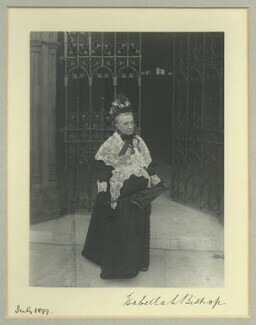 Isabella Bird started travelling in her early twenties, in the hopes of relieving her spinal problems and other illnesses. Her first trip was to North America, her second to Canada. After her parents died, she made trips around the world, gathering material for a series of travel books. When her sister Henrietta died, Isabella, aged fifty, married her sister's doctor; he, too, was dead five years later. On his death, she set off again, to India, Tibet, Persia and elsewhere. 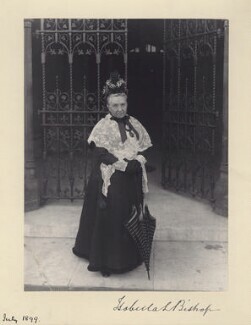 She became a household name, and was the first woman to be elected a Fellow of the Royal Geographical Society.